Provide comfort for the family of Francis Shanley with a meaningful gesture of sympathy. Francis Gerard Shanley, a lifelong resident of Brooklyn who lived in Bay Ridge for most of his 89 years, first on the west side of 97th street, and then on the east, left Brooklyn and earth early the morning of April 11, 2019. Known to his nieces and nephews and most of the people they knew as “Uncle Frank,” he was a faithful communicant of St. Patrick’s parish, and a familiar sight in his beloved neighborhood. He was a New Yorker to his fingertips, and loved to walk in Manhattan and at home. In the Irish tradition, he gave a greeting to everyone he met, and stopped to enjoy a chat. It was not possible for him to walk far in Bay Ridge or to sit on one of his benches without encountering someone he knew. A literary man, one of his greatest pleasures was to take the R into Manhattan and peruse his book in the reading room of the New York Public Library. When that became impossible in later life, he still used the Bay Ridge branch library right up to his final illness. In his eighties he was still occasionally brushing up on his Greek and Latin. He was intrigued with the work of the Fathers of the Church, especially St. Augustine of Hippo. Another love of his life was the southwest, to which he took annual trips until he had to give up driving. He loved the desert. The youngest child of Mary “Mamie” Burke Shanley and John L. Shanley, and the brother of Jack, Bob, and Rita, he grew up happy, playing stoopball and other New York games. He studied briefly for the priesthood and never faltered in his faith. Francis G. Shanley will be waked at McLaughlin & Sons, Inc. funeral home across the street from his home on 97th Street, from 2-5 and 7-9 on Sunday April 14, and his mass will be at St. Patrick’s on Monday morning at 9:30, with burial to follow at St. John’s. There will then be a lunch to which all are invited. Further details on McLaughlin website. We thank everyone at McLaughlin’s for their graciousness to him now in his death, a continuation of their graciousness to him in life. 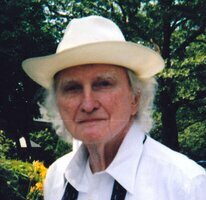 To send flowers in memory of Francis G. Shanley, please visit our Heartfelt Sympathies Store. Consider providing a gift of comfort for the family of Francis Shanley by sending flowers. Provide comfort for the family of Francis G. Shanley by sending flowers.